As World War II wound down, Northrop looked for opportunities to expand its aviation products. At the time, various reports forecasted a need for a rugged, low-cost, transport aircraft to serve under-developed airfields for emerging commercial routes following World War II. 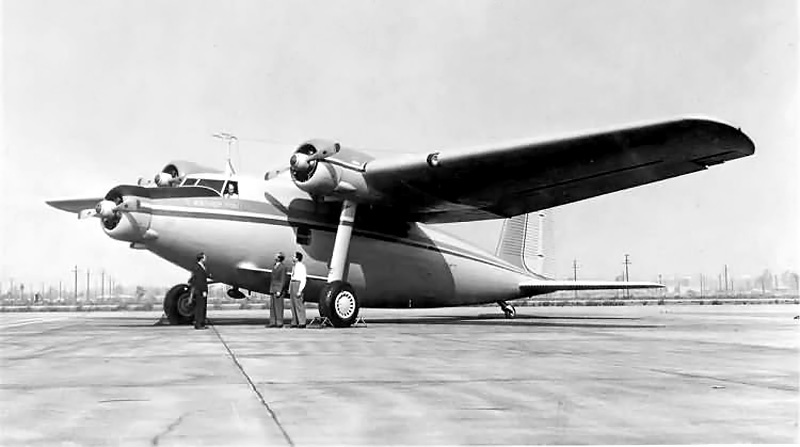 To meet that need, Northrop designed and built the N-23 Pioneer transport at its own expense. The Pioneer was unlike any aircraft that Northrop had built. The Northrop N-23 Pioneer seen shortly after its rollout at Hawthorne, California and before its registration (NX8500H) was applied. Note the single window along the fuselage. 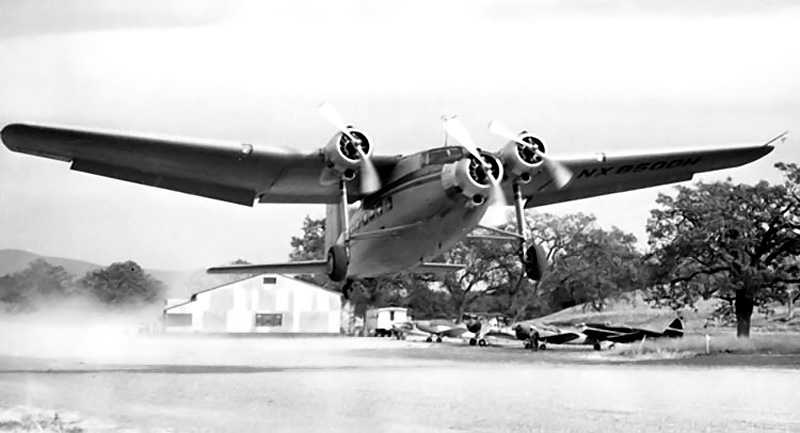 The N-23 Pioneer was a trimotor, high-wing aircraft of all-metal construction. Its robust fixed landing gear, with long struts, enabled the aircraft’s use on unimproved runways. To allow for short-field operation, large flaps made up 80% of the wing’s trailing edge. In addition, another wheel could be added to the inboard side of each main gear strut to reduce the aircraft’s load footprint for soft field operation. Outboard of the large flaps were small ailerons that acted with wing spoilers to control the aircraft’s roll. This configuration was similar to that used on the Northrop P-61 Black Widow. The Pioneer was engineered with remote field operations in mind. Common parts were used when possible; all three engine installations were identical, as were the vertical and horizontal stabilizers. The Pioneer was designed with large panels to allow easy access to critical parts for maintenance and repair. The Northrop Pioneer performing a short field takeoff from the Conejo Valley Airport in Southern California. The Pioneer’s short field performance enabled it to operate out of airfields normally limited to small aircraft. Note that the fuselage has been modified with passenger windows. The Pioneer could be fitted with 36 seats for passenger service or carry up to 10,000 lb (4,536 kg) of cargo. 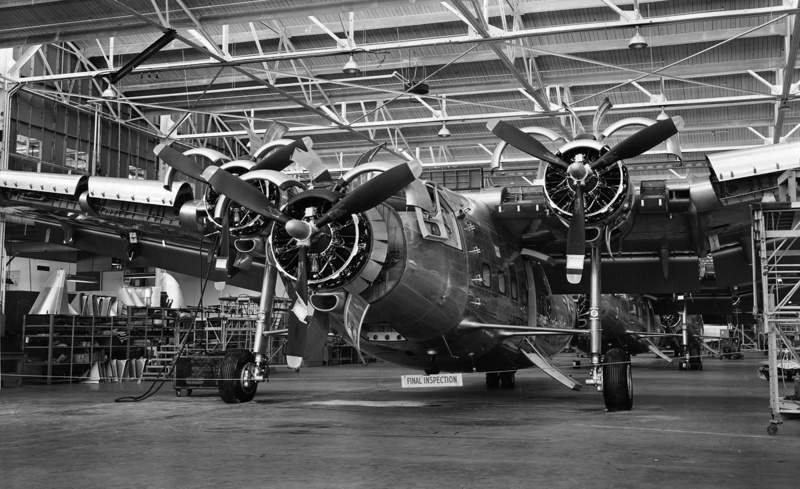 Quick-change fittings were featured in the floor of the Pioneer’s cabin; they enabled easy reconfiguration of the aircraft’s interior from passenger transport to cargo transport. Long objects (such as pipe or timber) up to 36 ft (11 m) could be loaded through a hatch under the aircraft’s nose. The Pioneer was powered by three 800 hp (597 kW) Wright R-1300 engines. Each engine turned a fixed-pitch, two-blade Hamilton Standard propeller. The aircraft had an 85 ft (25.9 m) wingspan and was 60 ft 7 in (18.4 m) long. It had a maximum speed of 193 mph (311 km/h), a cruising speed of 150 mph (241 km/h), and a range of 1,750 mi (2,816 km). YC-125 Raiders on the Northrop production line. Note the various engine access panels. The wings’ leading edge panels allowed access to fuel lines, control cables, and wiring. First flown on 21 December 1946 by Max Stanley, the Pioneer proved to be a very capable aircraft. It could take off in fewer than 400 ft (122 m). At a gross weight of 25,500 lb (11,567 kg), the Pioneer could take off in 700 ft (213 m) and land in 600 ft (183 m). The aircraft was operated out of various unimproved and short fields in Southern California. Unfortunately, with the influx of cheap, surplus World War II transports available in the post-war marketplace, there was little interest in the rugged Pioneer. After a year of test flights, the Pioneer was used to test an experimental dorsal fin. During a flight on 19 February 1948, the fin broke loose and damaged the Pioneer’s tail surfaces, making the aircraft uncontrollable. Test pilot Latham A. “Slim” Perrett did what he could to steady the aircraft to allow the copilot and an engineer to parachute to safety. Sadly, there was no time for Perrett to escape. 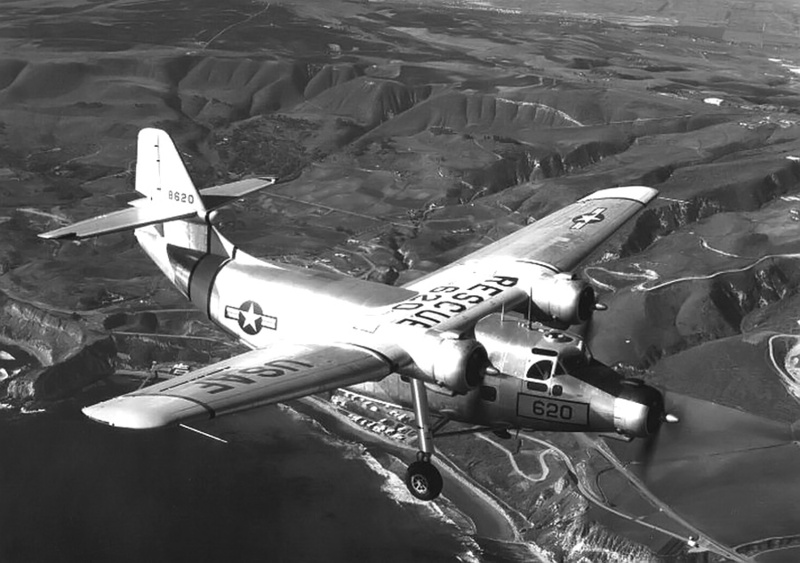 A Northrop YC-125B on a flight by the coast. Note the redesigned empennage compared to the Pioneer. Despite the crash, the Air Force was interested in the Pioneer’s capabilities. In March 1948, Northrop was issued a contract for 13 aircraft developed from the Pioneer. 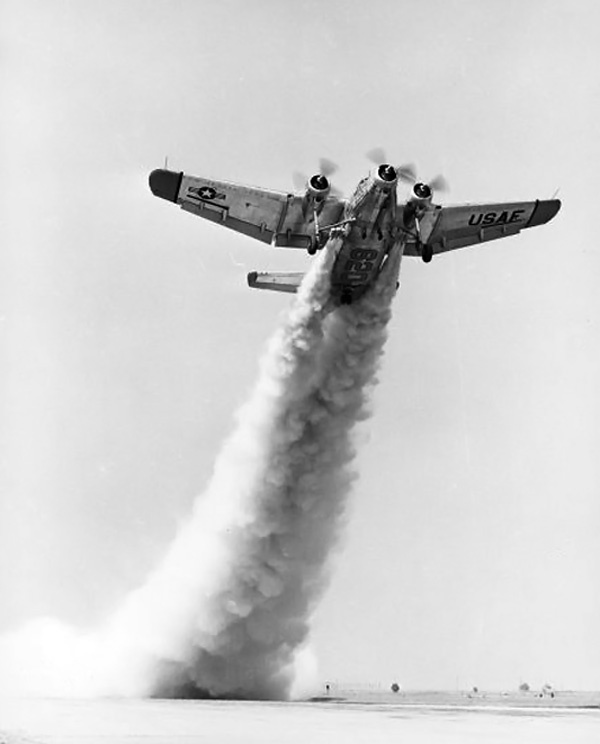 The new aircraft was the N-32 Raider and was designated YC-125 by the Air Force. The first version was the YC-125A, an assault transport. An order for 10 additional YC-125B aircraft followed. The YC-125B was intended for Arctic rescue. The two versions of the YC-125 differed only in internal equipment. A Northrop YC-125 Raider uses six JATO bottles to take off fully loaded in under 500 ft (152 m). The YC-125 Raider was very similar to the Pioneer, but it had a redesigned rear fuselage that incorporated a 9 ft (2.7 m) by 6 ft 6 in (2.0 m) ramp for loading and unloading equipment. The addition of the loading ramp led to a redesign of the aircraft’s empennage. The YC-125’s tailwheel strut could be extended to allow for better loading ramp access. Six JATO (jet-assisted take off) bottles could be used to enable a fully loaded 40,900 lb (15,552 kg) YC-125 to take off in 500 ft (152 m). 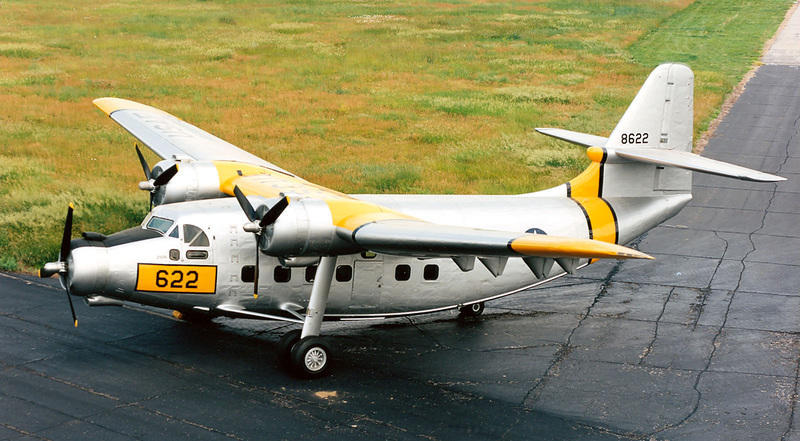 The YC-125 was powered by three 1,200 hp (895 kW) Wright R-1820 engines. Each engine turned a constant speed, three-blade Curtiss Electric propeller. The propellers’ pitch could be reversed to shorten the landing distance to as little as 330 ft (100 m). The aircraft had an 86 ft 6 in (26.4 m) wingspan and was 67 ft 1 in (20.4 m) long. The YC-125 had a maximum speed of 207 mph (333 km/h) and a cruising speed of 171 mph (275 km/h). The aircraft’s maximum range was 1,850 mi (2,977 km), and it could carry 32 troops or 12,000 lb (5,443 kg) of cargo. The YC-125 made its first flight on 1 August 1949 with Stanley at the controls. Initial flight tests went well, and all 23 aircraft were delivered to the Air Force by the end of 1950. However, the YC-125 was found to be underpowered during service trials. As a result, the aircraft was thought to have little use in its intended roles. The Air Force had other, more versatile aircraft and helicopters that could be used in place of the YC-125s. Soon, all YC-125s were stationed at Sheppard Air Force Base in Texas and used for ground instructional training. In 1955, they were declared surplus, and around 19 YC-125s were sold to Frank Ambrose Aviation in Florida. That company then resold many of the YC-125s to various entities in South America, where they were used as rough field transports. Some served into the 1970s, doing the type of work for which the N-23 Pioneer was originally designed. There are two known surviving YC-125s. Both were recovered after their service in South America. 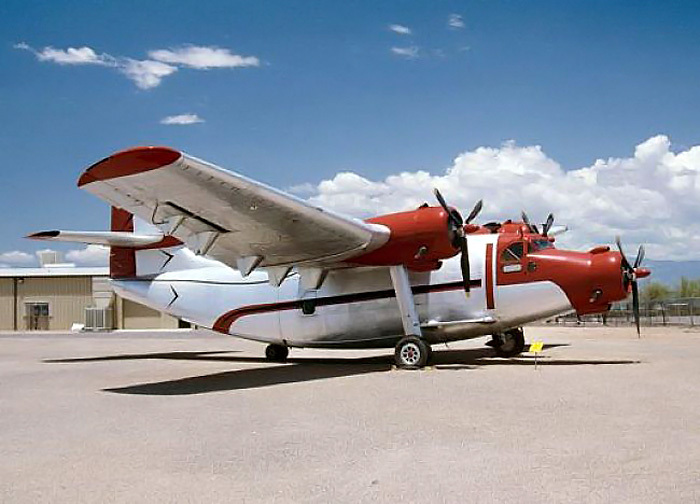 The Pima Air & Space Museum in Tuscon, Arizona has a YC-125A still in the livery it wore while serving for Triplay y Maderas de Durango, S.A., a lumber company in Durango, Mexico. The National Museum of the United States Air Force (NMUSAF) in Dayton, Ohio has a YC-125B. This aircraft was recovered from Zacateas, Mexico by Asher Ward and Darryl Greenamyer in the early 1990s. Ward and Greenamyer had previously recovered a YC-125A for the NMUSAF, but the aircraft crashed in Tulsa, Oklahoma on 29 June 1988. As a result of a corroded wire, the propeller of the left engine went into reverse pitch shortly after takeoff. Ward and Greenamyer escaped with minor injuries. This was the last flight of the last airworthy YC-125. This entry was posted in Aircraft, Post World War II on 17 May 2014 by William Pearce.